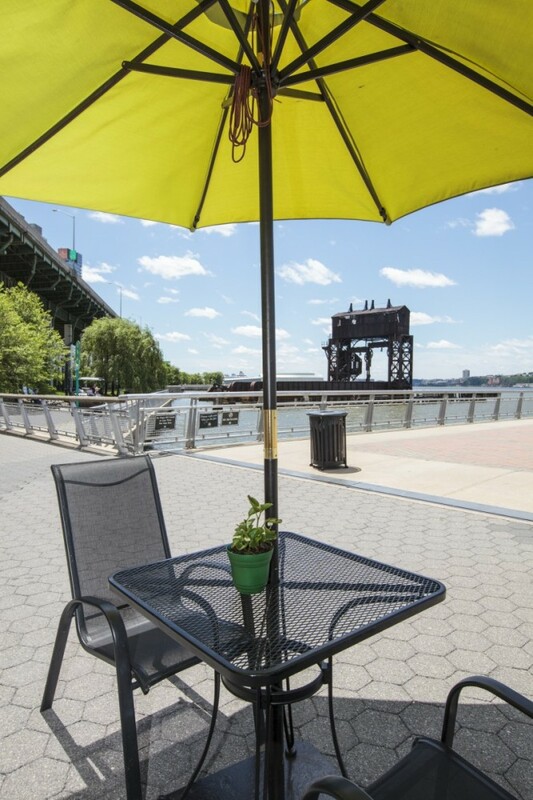 PIER i CAFE is located at the entrance to Pier i, underneath the West Side Highway, within the Riverside Park South. Although the address is 500 W 70th Street, you enter the park at Riverside and 68th Street, then follow walking directions into the park. This is your access point by foot, car, train and bus. This is also the taxi drop area. Bikes can enter the park, but no cars are allowed. See below for detailed instructions. Walk to Riverside Blvd. (not Riverside Drive) and W 68th Street. Find the path to the right (North) of the playground. 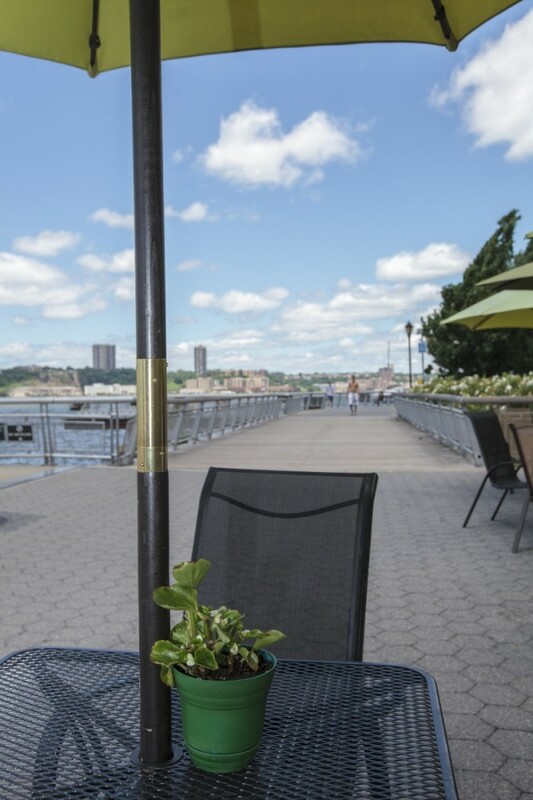 Walk down the path (West toward the water), it will bring you into Riverside Park South and to PIER i CAFE. Ride your bike along the bikeway that runs through Riverside Park South. 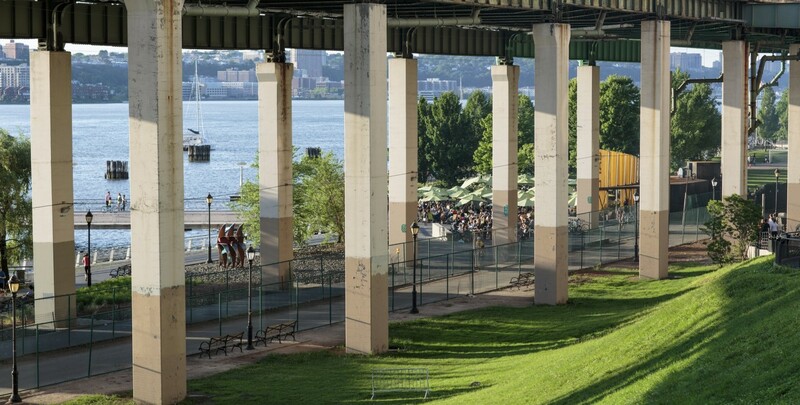 This bikeway can be accessed from the Hudson River Park and Riverside Park bikeways. The NYC Parks Department provides bike racks near the PIER i CAFE. Take the 1, 2, or 3 Lines to W 72nd Street. Walk to West End Ave and W 70th Street. Continue on W 70th Street until you reach Riverside Blvd then walk South to W 68th Street then follow walking directions. (Note: W 68th Street does not connect to Riverside Blvd, thus we suggest the W 70th Street route). Take M72 cross-town to W 70th Street and Riverside Blvd (last stop.) Walk South to W 68th Street then follow walking directions. Best Drop Off: Riverside Blvd and W 68th Street (follow walking directions). There is no car access or parking within Riverside Park South. From the South: Exit Westside Highway at W 59th Street. Continue to 11th Ave/West End Ave, then make a left. Drive to W 66th Street and make a left to Riverside Blvd. Then turn left to W 68th Street. From the North: Exit Westside Highway at W 79th Street. Continue to 11th Ave/West End Ave. Make a right onto 70th Street. Turn right at Riverside Blvd. to W 68th Street.